(2040, Constance E. Caswell Collection, OHS). Born in Massachusetts March 11, 1793, Cyrus Byington spent most of his adult life as a Christian missionary among the Choctaw, first in Mississippi and then for thirty-one years in the area that later became McCurtain County, Oklahoma. Initially trained as a lawyer, he gave up his law practice for a career as a missionary affiliated with the American Board of Commissioners for Foreign Missions. Byington joined the Choctaw in Mississippi in 1821 and soon began a study of their language, which was not then in written form. He soon learned to speak Choctaw and helped develop an orthography before beginning to develop tools of the language, including a grammar and dictionary. In the early 1830s the Choctaw were removed from Mississippi to southeastern Oklahoma. Byington and his family joined them there in late 1835, establishing a mission station and school near Eagletown. There his work on the Choctaw language continued unabated. He completed a "Definer" consisting of English words and Choctaw equivalents, which was published in 1852 under his supervision. He remained in the Choctaw Nation during the Civil War, sustaining his Christian ministry and continuing work on the language, in particular a manuscript of the Choctaw Grammar,which would be published after his death. In failing health when the war ended, he moved to Ohio to be near his married daughter. There he completed translation of the first five books of the Christian Bible into Choctaw. Called the Pentateuch, that material was published in 1867 under his guidance and supervision in New York. Striving for perfection of the Choctaw Grammar, he continued that work and was preparing his seventh revision of the manuscript when he died December 31, 1868. Byington's other achievements with regard to the Choctaw language included translating major portions of the New Testament as well as other religious and secular materials for use in the Choctaw mission schools. The Choctaw Grammar was not published until 1870. His work titled A Dictionary of the Choctaw Language was printed in 1915. His works on the Choctaw language are considered authoritative and have been widely used in the continuing efforts to preserve and perpetuate the tongue among the Choctaw people. Cyrus Byington, A Dictionary of the Choctaw Language, ed. John R. Swanton and Henry S. Halbert (Washington, D.C.: GPO, 1915). 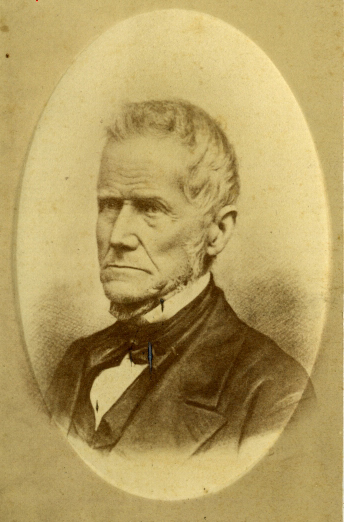 Louis Coleman, Cyrus Byington, Missionary and Choctaw Linguist (Kearney, Nebr. : Morris Publishing, 1996). Grant Foreman, Indian Removal (Norman: University of Oklahoma Press, 1932). Louis Coleman, "Byington, Cyrus," The Encyclopedia of Oklahoma History and Culture, https://www.okhistory.org/publications/enc/entry.php?entry=BY002.